A kindle is a fantastic device that is a must-have for any book lover. You can carry it wherever you go. If you are traveling at night and feel like reading something, you do not need a light anymore, just take out your Kindle and enjoy the ride. A Kindle is designed for consumers, no doubt, who love to read books. But one misconception is that a Kindle is only used for that purpose; reading. Yes, you can read on it as much as you want too and whatever you want to, but that is not all that the Amazon Kindle has to offer. There are also multiple features a kindle provides, that business and corporate users will find very useful. The original Kindle came out in November 2007 as a source where people can read e-books. In 2011, Amazon launched its own Android-based tablet computer to compete with Apple’s iPad. Many other Kindles such as the popular Kindle Fire have come out since then that provide a variety of features such as the ability to stream TV shows and films. Amazon won the tablet wars, and is it really a surprise though? No one else can possibly compete with all the offers it has. Amazon Kindle Malaysia is the best choice for you in the market these days, and it would be foolish to ignore it. There are some other ways a Kindle can be made useful for business purposes, and we have written them below. If you are working in a business or organization where you have a need to maintain reference books, or your team has to read these same books to stay updated with the current times, latest thinking and trends in your industry. Make your lives more comfortable and get one or more Kindles. When you get these devices, you can share them, and it will be a heaven for people wanting to read these books. With a few exceptions, around five to six people can read the same book on six devices at most, at the same time. Among the many purposes of a Kindle, one is very useful for corporate and business users; it can be used as an organizational learning tool. Kindle users can now add the digital learning content to their respective Kindles, which gives them flexibility where they can study the materials, wherever they are. For example, almost a decade ago, Microsoft announced a promotion where if people purchased any Microsoft Official Course and took the certification exam from some Microsoft learning partner, then they would receive a Kindle with the course content pre-installed. There were many courses available, some of which were managing desktop deployments of Windows 7, and configuring and administering Microsoft SharePoint. Users are also able to download the e-books on a lot of the professional development and learning topics from the available Kindle Store. 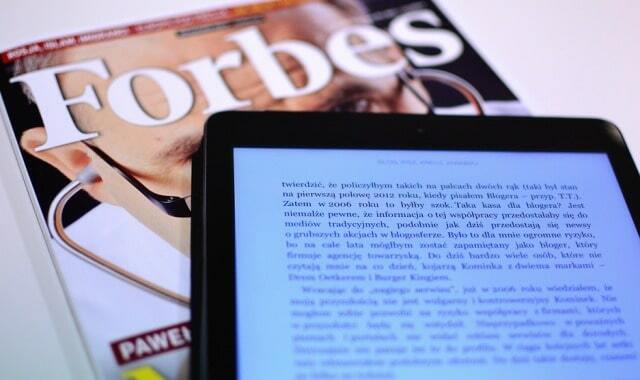 A lot of the business users out there need the functionality of reading e-books. These users will likely want to consider some of the versions of the Amazon Kindle that are specifically designed to be an e-reader. An example of such kindles is the Kindle Touch. However, users who need more functionality, and want to be able to access their business applications in an Android Marketplace, would want to consider some other options, such as the Kindle Fire tablet. When it comes to business uses and techniques, there are many that kindle lends to its corporate users. A kindle not only offers a Wi-Fi connectivity option, and in some versions, third generation mobile data networking connectivity, you can also read and display PDF files on a kindle. If you have Kindle-formatted files, then you will have the option to take notes, make bookmarks, and have words on a page that you can be vocalized through the text-to-speech software feature in the device. In addition to all of that, users can also pay Amazon a fee if they want to have some certain files. You can now have such files as well, the ones that are not compatible with the Kindle in order to be converted to a file type that is supported. Kindle is most useful for people with fields where they are required to read all the time, and that includes lawyers as well. Good news for lawyers is that the Kindle offers them multiple useful features for their work. According to an article, that was published in 2009, by the Wisconsin Law Journal, lawyers can find it very easy to go about their daily work if they use a kindle. For example, lawyers can upload their legal documents onto the device. That will save them the hassle of carrying a ton load of paper documents in a heavy briefcase, which they have to carry everywhere. Lawyers can also read through their depositions on a Kindle. They can make their notes on the screen as they find fit. Apart from these perks, lawyers can upload law firm policies and manuals onto their Kindles as well, as a kind of read-only format, which will save them a lot on the printing costs. There are plenty of authors that write books and want to offer new research or business advice. For them, publishing an e-book to their Kindle users/audience through Amazon can prove to be a quick way to get published. On the other hand, in the traditional publishing format, an author has to submit a printed book to a publisher, which can literally take months until resellers are selling his or her book. Sometimes it also happens that the research or the advice about the book is not the most up-to-date information. With the help of Kindle Direct Publishing, Authors can now self-publish their books. They can make their e-books available in the Kindle store in the matter of a few days. A kindle is not limited to providing a platform to read your favorite book anymore, and you can use Kindle tech for all these businesses purposes as well. Invest in an Amazon Kindle e-reader today to enjoy the myriad of benefits for your company. Author Bio: Jamie Kates is a student of Information Technology. She has a great passion for e-books and other technological devices that improve her reading capacity and brain power. She is also a passionate writer in her field related to software, e-readers, Amazon tech, Android devices and other gadgets. Check her blogs at Buy Kindle Malaysia. I hope you enjoyed this blog post about amazing uses for Amazon Kindles when it comes to business purposes. Interested in more articles about tablet technology?